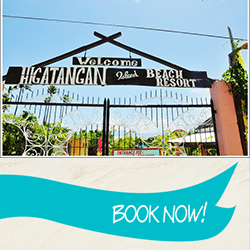 Bunga Prime Resort is located along the coast in the village of Bunga, Municipality of Cabucgayan in Biliran province. its about 34 kilometers away from provincial capital of Naval and can be reach by bus or van on regular route from Naval to Bunga at 8am to 5pm. The resort offers a hotel/motel of 14 different accomodating rooms with a magnificant view overlooking the blue water of Carigara Bay. An Endless magnificent site of Leyte island and Mountain view which can be seen from hotel balconies and windows. several of our hotel balconies have great views of the swimming pool which is filled with clean and natural spring water or the opportunity to swim in the ocean to our floating house overlooking the horizon. The resort also offers a self service foreign kitchen style where guests are more than welcome to use, equip with all the appliances and cookery available to make a home cook meal. *Check-in time is at 1pm and check-out is at 11am. 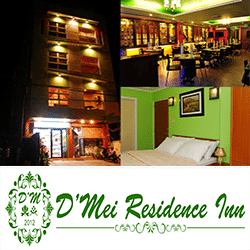 *Most rooms are Matrimonial Bed and Airconditioned Rooms with cable. Most Rooms are good for 2 adults unless specified. Children below 3 years old are not allowed at the swimming pool, unless they have guardians with them. Check In guest dont need to pay entrance fee only the outside guest that wanted to use the swimming pool. *Night Swimming only open if the hirer will pay double the price of entrance fee and cottages. No table to be hired for this night swimmers. Deposit is required upon confirmation of bookings. Philippine Airlines, Cebu Pacific and Zest Air fly from Manila to Tacloban twice a day, seven days a week. Aircon shuttle vans and ordinary fare buses are available in going to Bunga, Van trip lasts for 2 hours and a half fare: P150.00. Van for hire to Bunga , Cabucgayan, Biliran can be arranged even from the airport. Your feedback is important to us! Write a review for your stay in Bunga Prime Resort and help other travelers.